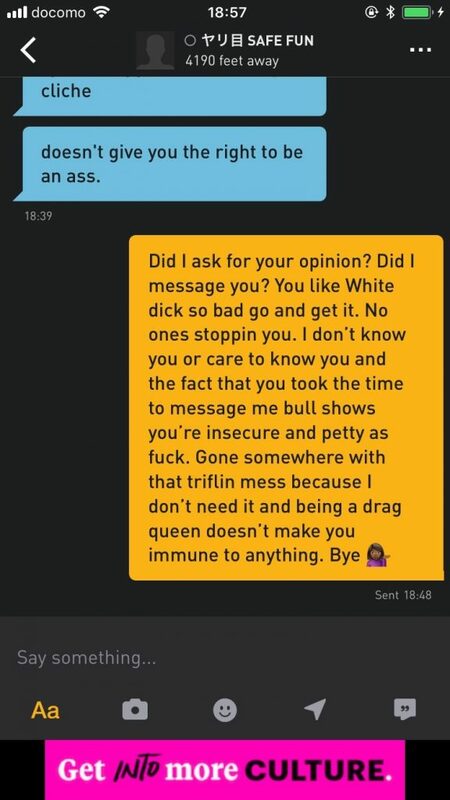 posted with the permission of a friend, the above gem is but one of many examples of antiblack racism, transphobia and binarism that my friend is subjected to regularly on Grindr in Osaka and Tokyo. 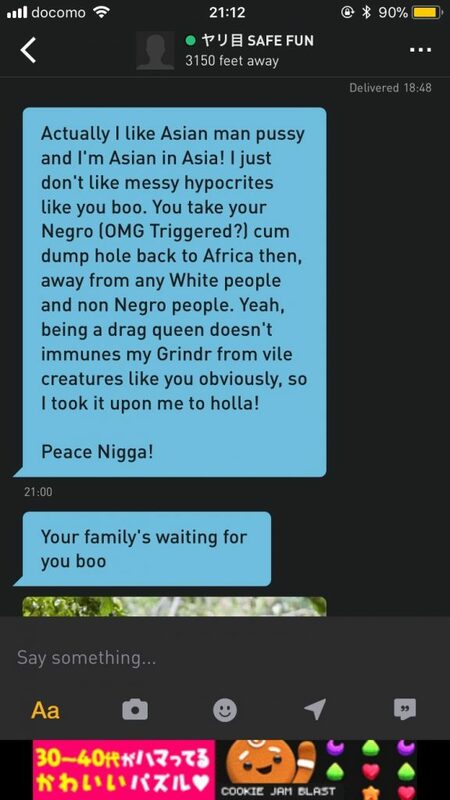 sharing it here as i often hear of this kind of thing happening on Grindr in English speaking countries, but see little about it beyond that. 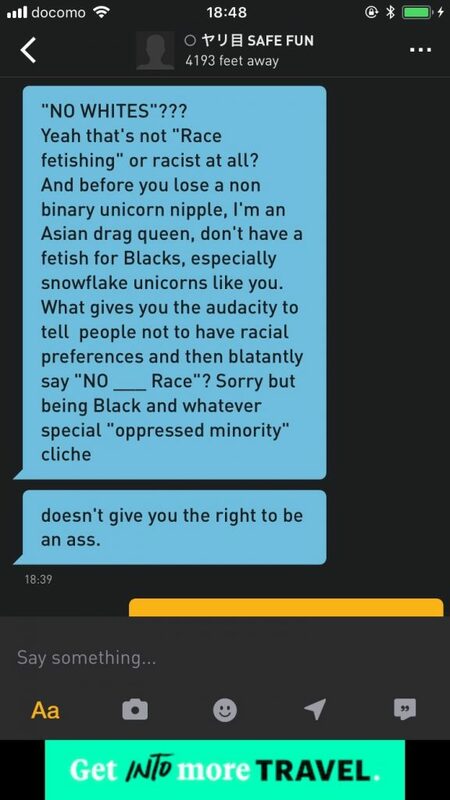 antiblackness is not unique to America or other English speaking countries, it is universal. 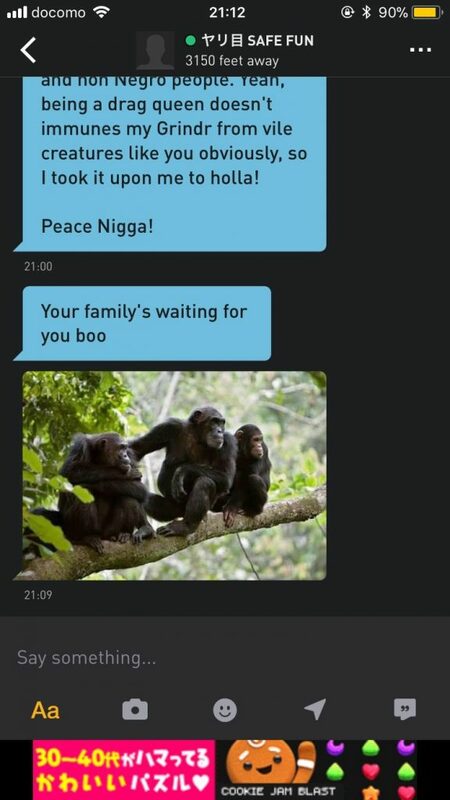 and least there be any false assumptions made based on the above example being in English, my friend receives similar messages from non-English speakers in Japanese and has also received such messages during their time living in South Korea. this is Old News that is apparently Breaking News to some, but rest assured it most certainly is not Fake News.